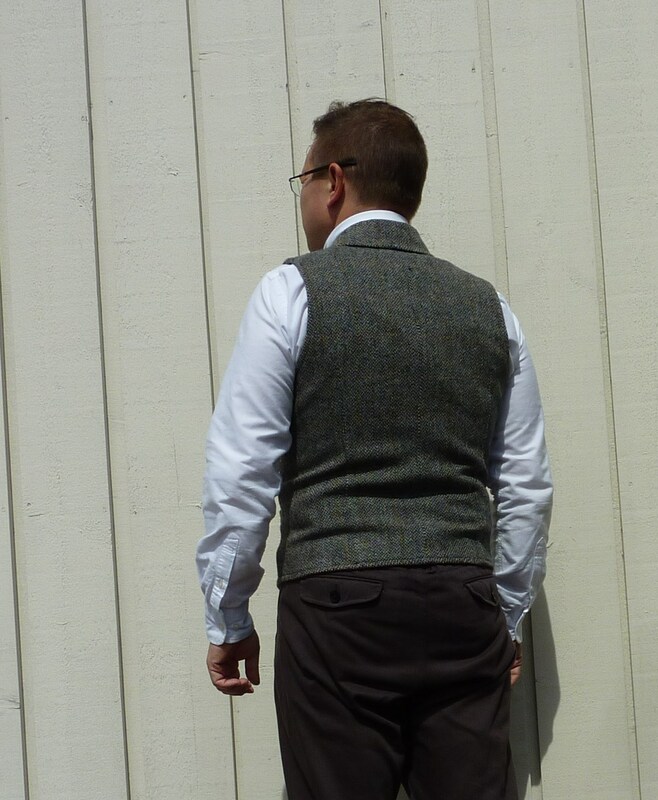 Waistcoat Wednesday: NN.07, a Scandinavian take on Harris Tweed - Well Dressed Dad - It is a proper menswear blog. Like, with original words and opinions and suchlike. 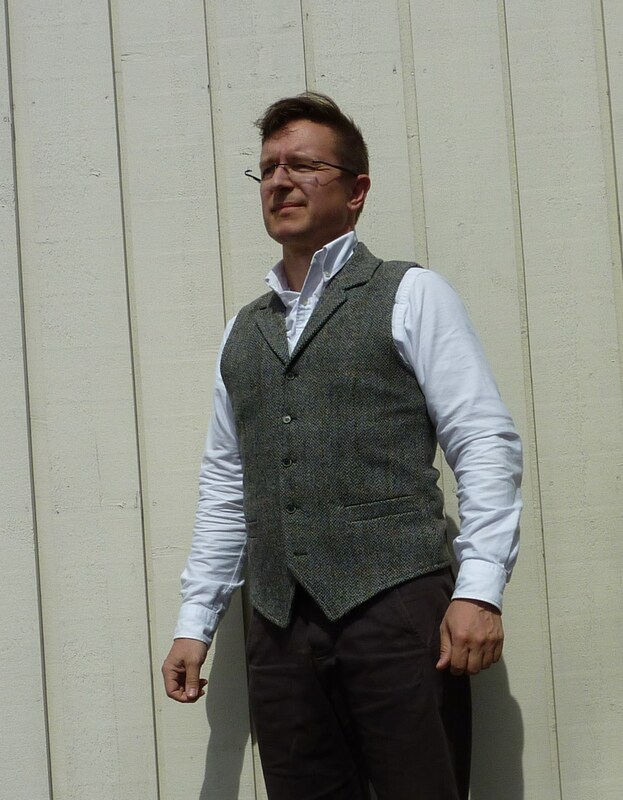 Back again for installment number 12 of the epic bonanza of armless attire that is Waistcoat Wednesday, this time featuring a second waistcoat from Scandinavian brand NN.07. NN as in No Nationality, which is intended to convey a sort of esoteric and mysterious aspect to their garments, but appears to mostly mean that they don’t put the country of production on their labels. That said though, they do make quality clothing and price-wise they’re very much in the mid-range. Not cheap, but decent value for what you get, and as far as I can tell, not made in some sweatshop in the Far East. Which should matter to you, as someone with an interest in clothing that goes a little further than just keeping warm and covered up. So, intro over, what do we have here? For starters, this is not from the usual range of NN.07, but rather their effort to make a premium range called “Directors Cut”, i.e. 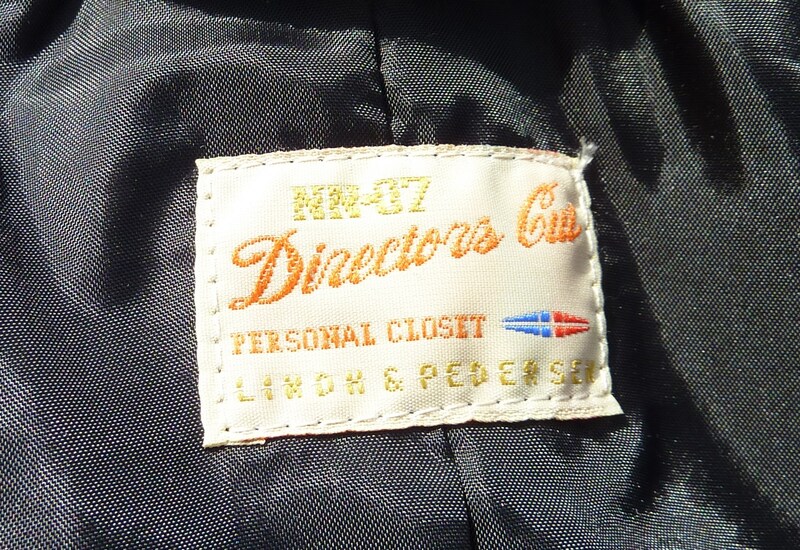 it’s “from the personal closet of Lindh & Pedersen” , the two designers/owners. I hesitate to say their Directors Cut line is a huge success, as some of their most atrocious items come from this line, whereas their regular line is generally more conservative and usable. 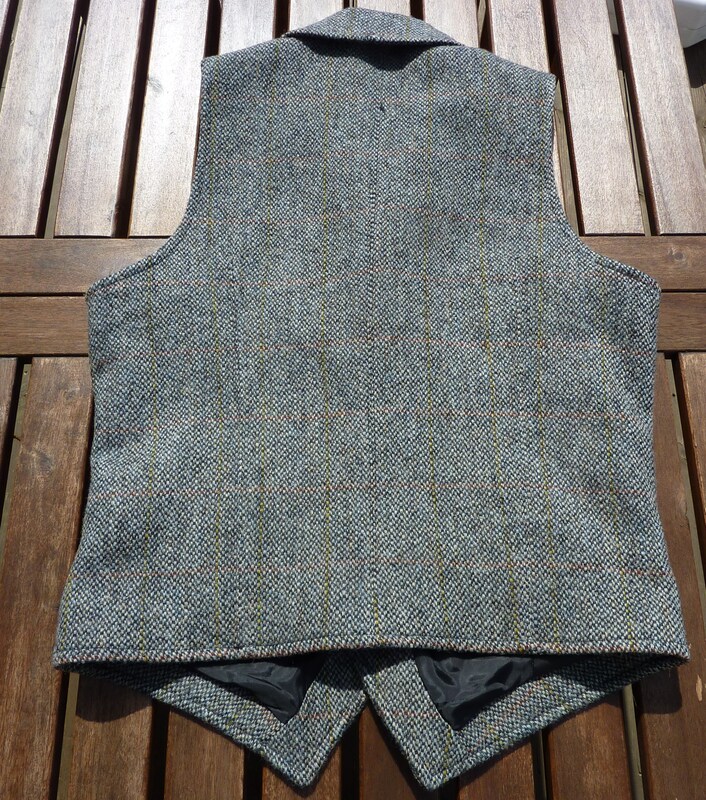 The item in question today though, is very much a traditionally cut tweed waistcoat, in proper pukka Harris Tweed. Harris Tweed needs no further explanation, and it does show how popular the Hebridean home produce has spread that even the Scandinavians are now feeling compelled to add it to their range. 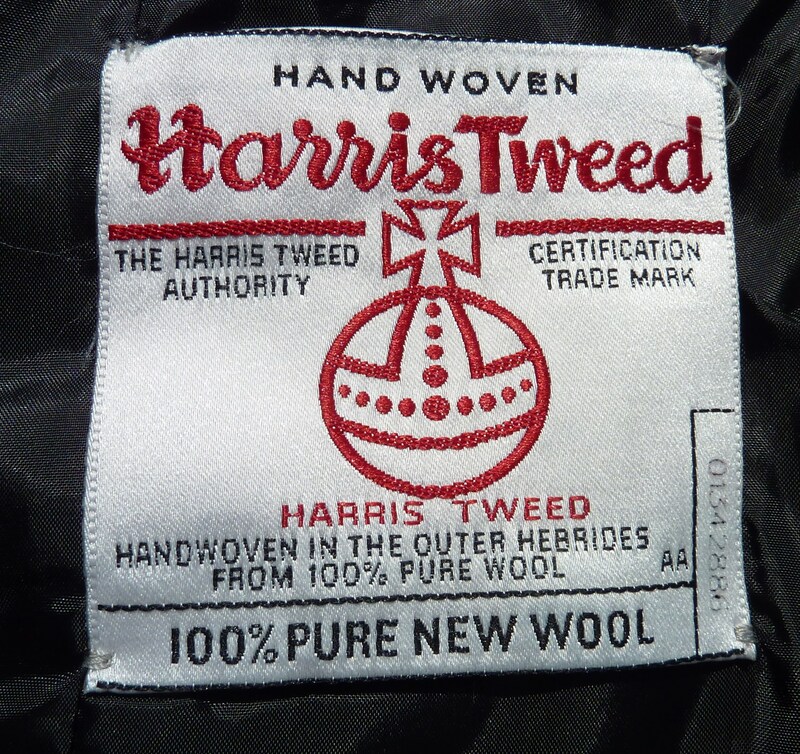 And of course, when something is claimed to be Harris Tweed, you look for the label inside, where you’ll preferably also find the number of the pattern used. 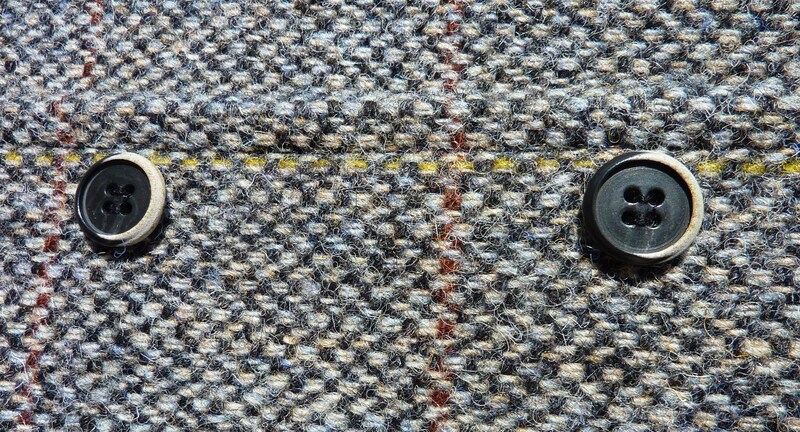 The pattern of this tweed is a touch on the modern side, with colours diverging from the usual earthy, organic tones. I’ve not used this waistcoat much (to be honest, it’s a little on the tight side, but it was the last one and at 70% discount I couldn’t say no), so I’ve not really grown accustomed to it yet. I mentioned it having a traditional cut, and while I’m not a qualified Waistcoat Historian (I’m sure they exist though), I couldn’t help but suspect that this one was awfully close to Nigel Cabourns “Mallory” waistcoat in cut. Laying one atop the other the outline is almost exactly the same, and while the NN.07 doesn’t have quite the same build quality as the Made in the UK by Panache Nigel Cabourn design, I think it’s quite safe to say that someone was more than a little inspired. The NN.07 doesn’t have the third pocket on the breast, though I’m not sure that counts as an innovation. The NN.07 is roughly half the price of the Cabourn though, so I’ll give them a little slack there. The lining is a traditional satin/nylon type material, though it’s not declared on the label. It’s OK though, and one aspect that hasn’t been copied from the Cabourn. Which brings me to the one point I feel really lets this waistcoat down, and I mentioned it previously in my post on buttons. The buttons. Here we have a supposedly premium garment, heck, they went the extra yards to use real Harris Tweed instead of some cheaper variant, and they then save somewhere in the region of 2 pounds by using really nasty pre-distressed plastic buttons on it? Seriously? Horn buttons would have given it a final touch to really make it nice. Pre-distressed, I tell you, so tacky. Distressing things only ever works if you can distress each of them a little differently, if they’re all exactly the same it just looks terrible. Ever seen a shelf full of Shabby Chic pre-distressed items? Seeing just a single item, you might think it looks vintage and has a realistic patina. And then you see another 20 identical ones. Boom! Anyhow, to sum up: The design works, as it should, given that it’s almost identical to one of the finest waistcoats you can get. The material is top notch, as it should be. The nice thick tweed is also superb for layering up when it gets chilly outside. 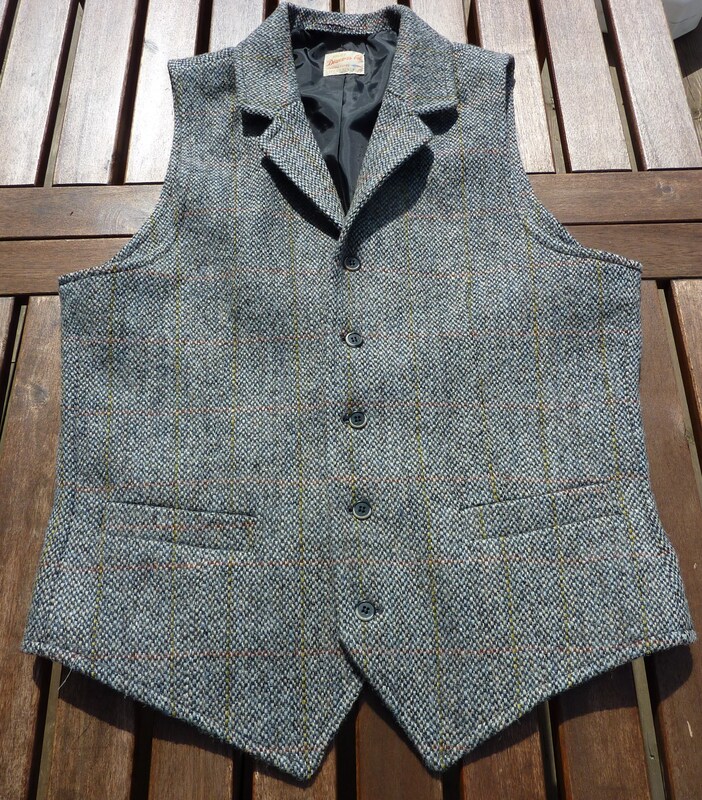 Really, not a bad waistcoat, though limited edition, so you’ll be lucky to find one now. The only real flaw is the buttons, and I will order a bag of horn buttons and start changing the buttons on garments I feel should have them. It looks more dapper than you give it credit for sir. 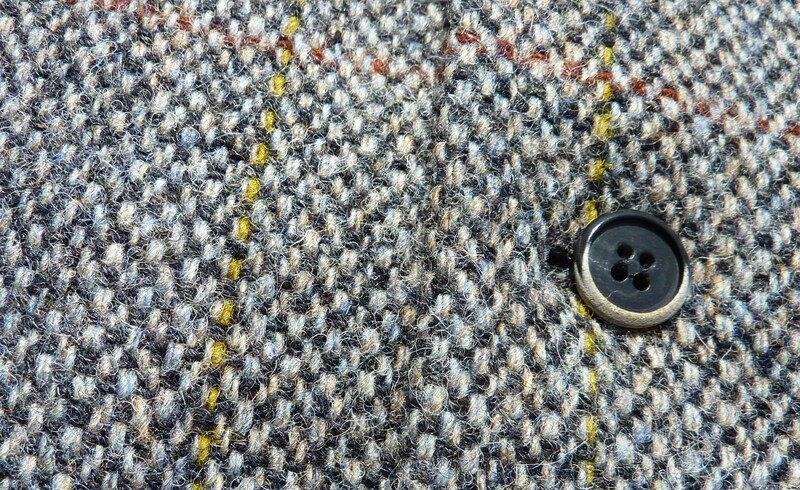 I’d agree on the buttons though – but I do like that fleck that’s running through the tweed. The Green tartan is a beauty. That Eames is indeed very nice, though I agree that it takes the green to bring it out. I think the red tartan could easily be a bit much!